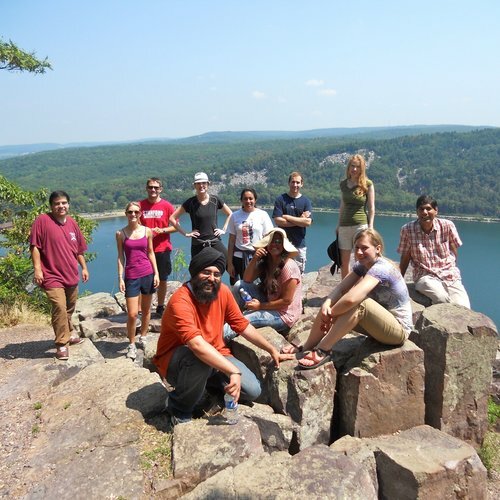 HNDI 201 (Fall Semester only) is the beginner's level Hindi course. The aim of the course is to enable the student to acquire the major language skills - speaking, listening, reading and writing in Hindi. Standard text materials, course packet prepared by the Instructor (s), and instructional and authentic materials available on internet are used with equal emphasis on spoken and written Hindi. 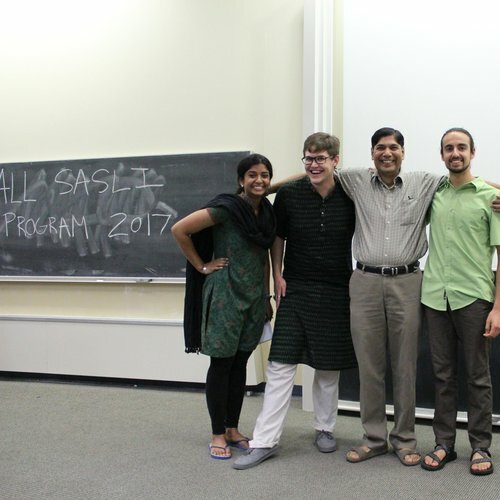 The structure and conversations will be presented in a variety of authentic contexts of Hindi. Training in spoken Hindi emphasizes speaking and listening at normal speed with near-native pronunciation and intonation. 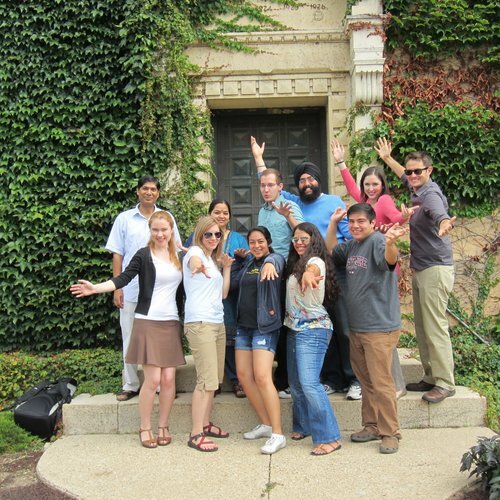 IMPORTANT: Students with prior knowledge of Hindi are strongly encouraged and advised to take either HNDI 403, HNDI 404, HNDI 405, HNDI 406, or HNDI 412 (see the Hindi Program Director for help in placing into an appropriate level class or for fulfilling the language requirement through the Proficiency Exam). The major objectives of this course are: (a) to train students to contextualize their grammar skills which they have acquired in their first two semesters of instruction (i.e., students will be required and encouraged to use the grammatical patterns learnt in both spoken and written contexts with ease, accuracy, and fluency), (b) to introduce students to the higher level of the structural complexity of Hindi so that they can develop competence in the comprehension of Hindi texts selected from a variety of genres, (c) to familiarize students with important socio-cultural conventions and practices which are vital both for internalizing language skills and for successfully participating in interpersonal communicative events, and, (d) to train and encourage students to think in Hindi through creative writing. At the end of the instructional period, students are expected to develop competence in comprehension of simple literary texts, carry out conversations in various social situations, and express their views on topics of interest in contemporary standard Hindi idiom. The course will introduce students to authentic texts (short stories, essays, poems, satirical writing, etc.) and discourse structures of Modern Standard Hindi and occasionally of medieval Hindi. The course will also focus on the idiomatic structures, linguistic patterns and uses of Hindi in a broad variety of registers and styles, especially the language of contemporary (post globalization) films, popular television shows, and print media. The course will help students acquire knowledge of some of the most productive processes of word formation in Hindi, and special vocabulary items pertinent to various genres. Students will be encouraged to study Hindi texts related to their own preferred genre or disciplines (such as History, Political Science, Anthropology, Cultural Studies, Religion, Science, Film Studies, International Relations and Diplomacy, Agriculture, Medicine, Mass Media, Communications, Economics, Business and Management, etc.) for the course requirements (powerpoint presentations and papers). HNDI 202 (Spring Semester only) is a continuation course of HNDI 201. In this course, students continue to develop basic language skills (listening, speaking, reading, and writing) while becoming familiar with the aspects of the cultural contexts and common discourse patterns of Hindi-Urdu. The course is designed to make students competent in appropriately using the basic structures and vocabulary of Hindi-Urdu in all basic social situations. Students are introduced to different varieties of Hindi through films and online textual and audio-visual material.